University of Pune has recently released the timetable for various MSc. (Master of Science) 2008 pattern and 2013 credit system pattern of degree courses of MSc. Biotechnology, Microbiology, Environmental and Electronic Science of all semesters. We’ll have a look on each branch separately. Lets start with biotechnology first. The semester I exam of Pune University Msc Biotechnology course will start from Wednesday, 6’th May 2015 and end on Saturday, 9’th May 2015. The students will have to give the exam on every day since there is not gap in between which is good thing. 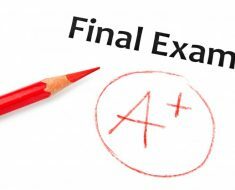 The Semester 3 exam will start on 6’th May 2015 and finish on 11’th May 2015. The semester II exam of MSc. Biotechnology 2008 and 2013 pattern course will begin from 12’th May 2015 and finish on 15’th May 2015. The last but not the least. Semester IV exam will be conducted from 12’th May 2015 to 16’th May 2015. The practical exam will be conducted before or after theory exam. Its not till fixed. The timetable for the MSc biotechnology practical exam will be displayed on notice board. For unipune MSc Microbiology 2008 and 2013 Credit System pattern course, Semester I and Sem 3 exam will begin on 6’th May 2015 and end on 8’th May 2015. The Semester II and 4 exams will be conducted from 9’th to 12’th May 2015. Here, its clearly mentioned that the practical exam will be held before theory examination. You’ll get the notice of the same. The pune university MSc Environmental Sem 1 Exam will be there from 6’th to 9’th May 2015 timed at 11:00 am to 2:00 pm and Sem 3 exam from 6’th to 11’th May 2015. The sem 2 exam will be conducted from 12’th May 2015 to 15’th May 2015 and Sem 4 exam will be from 12’th to 16’th May 2015. Here also, practs exam will be conducted before theory and you’ll be informed regarding the same via notice. In case of pune university MSc Electronic Science, the Semester 1 exam will be from 6’th to 9’th May 2015 and semester III exam will be on 6’th May 2015. Sem 2 exam will be from 11’th to 14’th May 15 and Semester IV will be on 11’th May 2015. Practs exams will be conducted before theory and notice will be displayed regarding the same.